Earlier today, Amazon held a special hardware event in the U.S. in which it introduced no less than six new Alexa-driven devices, including three new Echo smart speakers. First up is the second-generation Echo, which is fatter and shorter than the original Echo it’s meant to replace. 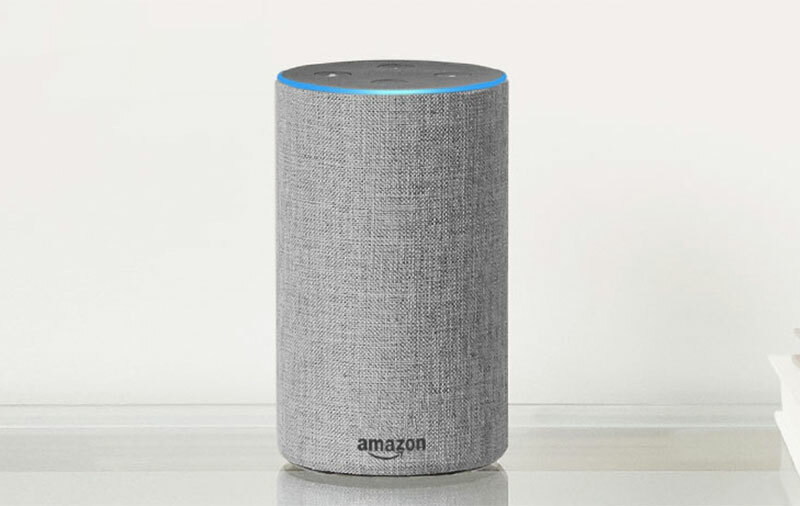 Covered in various fabric or wood-like wraps, it connects to the Alexa voice service (obviously), so you can do Echo/Alexa-y things such as asking it to play music, set alarms and timers, manage to-do and shopping lists, control smart home devices, and more. It has seven microphones and uses beamforming technology and noise cancelation to ensure that it’ll hear you from any direction. The new Echo can also make free calls in the U.S., Canada, and Mexico. Multi-room audio is supported too, which means you can now stream to multiple Echo devices at the same time. In the speaker department, there’s a new downward-firing subwoofer and upward-firing tweeter configuration working with Dolby processing for better audio performance. Slated for an October 31 release, the second-generation Echo is priced at US$99.99 or US$119.99, depending on the finish. For a limited time, Amazon is taking US$50 off if you buy three of them. 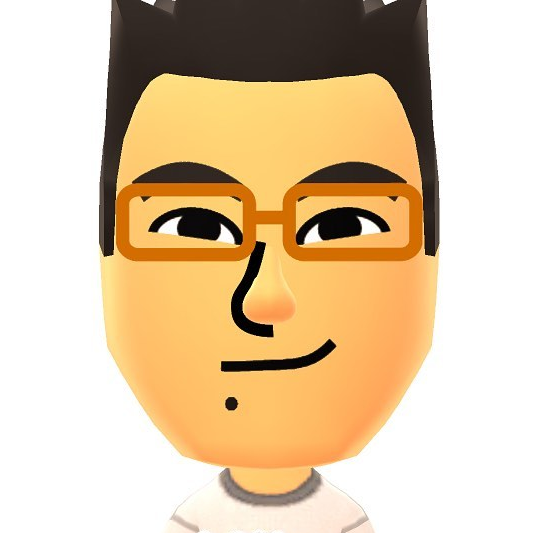 The Echo Plus looks just like the original Echo. It has the same second-generation far-field voice recognition tech as the regular Echo, as well as Dolby sound, but is equipped with a better speaker. Also new under the hood is a Zigbee radio (in addition to Bluetooth and Wi-Fi), which enables the Echo Plus to take on extra smart home hub duties. Amazon will be releasing new APIs to help developers get onboard quickly, including an update to the Smart Home Skill API that will allow users to chain multiple actions with a single command. The Echo Plus comes in black, white, and silver finishes. Priced at US$149.99, it has an October 31 release date. Amazon is throwing in a Philips Hue bulb for free, too. The Echo Spot is the smallest Echo device introduced today. Designed to fit anywhere in the home (especially bedrooms and kitchens), it has a round 2.5-inch screen, and can double as an alarm clock and a video calling device. Other use cases of the screen include watching video flash briefings, checking shopping lists, and showing video streams of compatible smart home cameras. 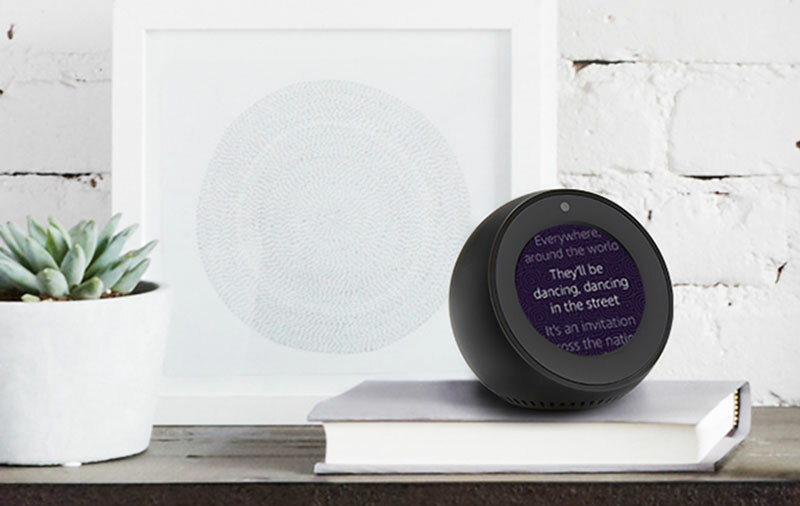 Available in black and white color options, the Echo Spot sells for US$129.99, and will go on sale on December 19. The Echo Connect is basically a little black puck that connects to a home phone line to turn any compatible Echo speaker into a speakerphone. It goes for US$34.99 and will be released in the U.S. on December 13. 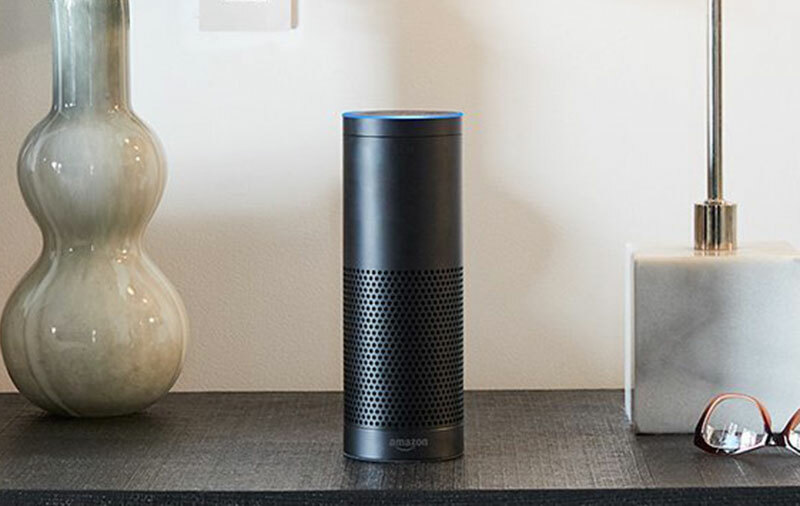 The first hardware to be introduced under the Alexa Gadgets umbrella, the Echo Buttons are positioned to be a new way for users to play games with friends and family. In brief, each button illuminates and can be pressed to trigger a variety of gameplay experiences powered by Alexa. Echo Buttons will be available as a pair for US$19.99, and will arrive during the holiday season. 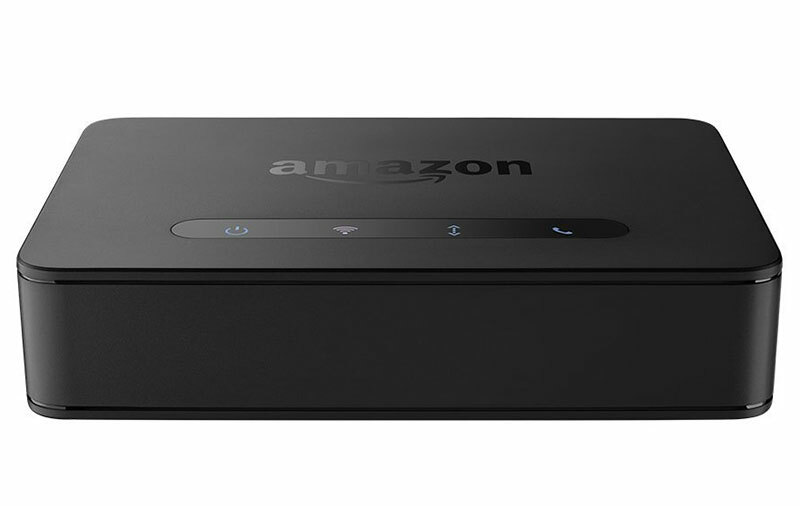 Finally, there’s the new Fire TV box with 4K UHD (up to 60fps) and HDR video support. It also has Dolby Atmos integration, and comes with an Alexa voice remote for voice controlling the streaming box or interfacing with the personal assistant when you’re too far away from an Echo device. 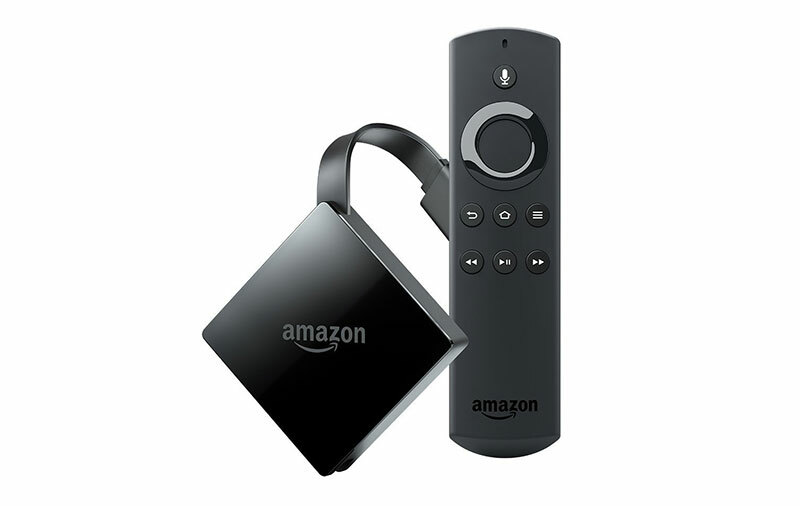 The new Fire TV retails for US$69.99, and will ship on October 25.